Total's Elgin PUQ platform, pictured right, alongside a Rowan rig. 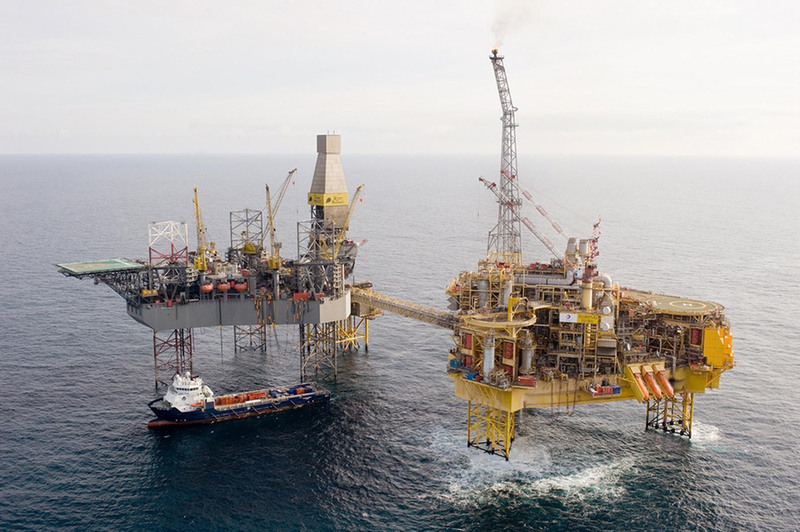 Production was due to restart on three North Sea platforms yesterday after workers’ strikes ground them to a halt on Monday. Total’s Alwyn, Dunbar and Elgin installations shut down for 24 hours in a dispute over pay and working hours. Unite regional officer John Boland said 44 workers across the three Total platforms had gone on strike. The row centres on Total’s attempt to change offshore working rotas from two weeks on, three weeks off to three on, three off. Further 24-hour action by union members is expected to take place on August 6 and August 20, with 12-hour stoppages also planned for July 30 and August 13. Production data on the website of regulatory body the Oil and Gas Authority shows the three fields normally pump out a total of more than 70,000 barrels of oil equivalent per day. At the current Brent crude oil price of around $74 a barrel, that equates to production worth about £4 million daily. Meanwhile, workers at Paragon Offshore at Westhill, near Aberdeen, plan to stage a protest tomorrow against the new owner’s decision to impose redundancies. It follows the firm’s takeover by Borr Drilling.